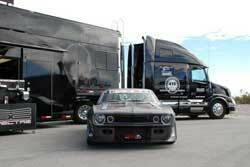 "Lots can happen over the course of eight days and 3500 miles," shared James Shipka, driver and co-owner of the Spectre Performance sponsored One Lap Camaro. And by lots he means, everything and anything can, and will happen. From a failed wheel bearing on the way to Daytona, to a co-driver receiving bad news about a family member and making the difficult decision to pull-out suddenly in Denver. Shipka is talking about the herculean, automotive endurance event, with the marked rock n' roll, in-your-face edge called - The 2013 Tire Rack One Lap of America. 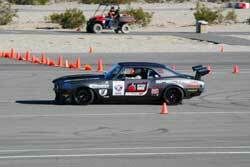 This year was the 30th running of Brock Yates' extreme challenge for driving enthusiasts. "Possibly the coolest thing about the OLOA is its combination of history and the unique field of competitors who attend," says Shipka. "This is one of the only events anywhere where a 'nobody' like me, can be on the track competing with a reigning Rolex GT Champion. The event has no rules, anyone can participate, and that makes it truly unique." In the early, up-the-establishment '70's, Yates, the senior editor of Car and Driver Magazine, created the now infamous Cannonball Sea-to-Shining-Sea Memorial Trophy Dash to prove that well-trained drivers, under the proper conditions, can indeed safely negotiate the American highways at speeds a tad in excess of the posted limit. The event highlights many of America's fastest street-legal cars in a flat-out, no-holds-barred race from New York City, to Redondo Beach, California, forever immortalized in the movie Cannonball Run. Car and Driver reports that to date only one team has ever crashed, which neatly supports Yates's contention. "I've run the OLOA four times, and have won the Vintage American Class (for 1989 and older domestic cars) four times, with three different co-drivers (once with David Pozzi, twice with co-owner Mary Pozzi and once with Carl Casanova)," remarked Shipka. "My best overall finish was this May, with 21st Overall out of a field of 75 plus cars." My highlights would include running at some unbelievable tracks, like the Rolex Course at Daytona and Barber Motorsports Park in Alabama." The 2013 OLOA challenged the teams to compete and complete in 20 timed competitions, including 172 hours of skid-pad, autocross, dragstrip, and racetrack events during the nearly 3,500 mile highway journey. Think of it as an eight-day decathlon-lite for driving aficionados. "When I was building the Camaro it was back in the 'early days' of the Pro-Touring movement. Lots of very cool cars were being built but there was no venue or events to run in (this is pre-dating the Optima Ultimate Street Car Invitational days, before Goodguys incorporated Autocross events, and before the ASCS and USCS existed). Claims were being made that these cars were cutting edge and that they were capable of competing with the best of the best, etc. but there was no yardstick for comparison. I looked at a few possible venues to prove that these modern muscle cars were capable, and the one that stuck out the most was the OLOA," Shipka explains as to why he first entered the event. "It's probably one of the most difficult 'amateur' events in North America. I was familiar with the event through magazine article but had no firsthand knowledge (not the greatest foundation to build a "purpose built" car on). My personal influences in building the car came from Mark Steilow (who has run the OLOA several times) and RJ Gottlieb (who set several records in the Silver State Classic Challenge). More than anything I wanted to prove that a 60's muscle car could be competitive." And to that end Shipka says he's been a loyal customer and supporter of Spectre Performance ever since his car was first under construction about eight years ago. "Technically, like a lot of younger hot-rodders at the time, I was a customer of Spectre when I was 17 and working on my first car, and using their hose covering products. I installed a Spectre filter on the One Lap car just before the very first Optima Ultimate Street Car Invitational in 2008 and have been a huge supporter of theirs ever since." 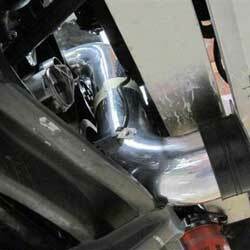 "Today I have a Spectre Extraflow Air Cleaner, along with a custom built Spectre air intake. Currently we have one of the new reusable Pure Power billet oil filters on the car." 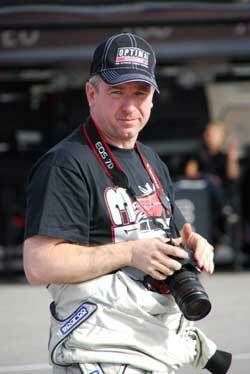 With his 2013 invitation, Shipka has in fact now competed in five Optima Ultimate Street Car Invitational's in all. "Unfortunately for us we broke the power steering rack during the first round of the event, the RideTech Street Challenge Autocross. We were able to still put together a decent finish," says Shipka, "but with intermittent power steering we were never able to lay down that one solid run." The team gave it their best shot at fixing the steering before the Road Course portion of the event, but to no avail. The persistent steering issue continued to plague Shipka throughout the remainder of the event. "OUSCI is an awesome event and although we had a legitimate opportunity for what should have been our best ever finish this year, it wasn't meant to be," said Shipka. "It's always an honor to be invited and I had hoped to represent Spectre better, but the reality of our hobby is that 'stuff happens' despite our best efforts to the contrary. We'll just dust ourselves off and try to get the car ready for the first event being hosted by the new Ultimate Street Car Association this March at Laguna Seca." Regardless of the venue, the One Lap Camaro continues to turn heads at wherever event it makes an appearance, as the 2013 Las Vegas SEMA show once again proved. 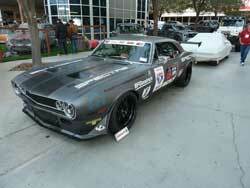 "This was our fourth time at SEMA with the car, and as always, it was a great week," Shipka adds. "SEMA is like no other event in the world and to be invited to represent a great company like Spectre is always an honor. As anyone who has done SEMA can attest, the preparation and work to attend is mind-boggling, and this year was no different. Only two weeks before the show the car wasn't even running, and we were replacing parts while the car was in the trailer, on the way to the show. I was concerned with how the car would present itself, given we have five years of hard use behind us now. But I was thrilled that the car more than held its own. It was another great experience."